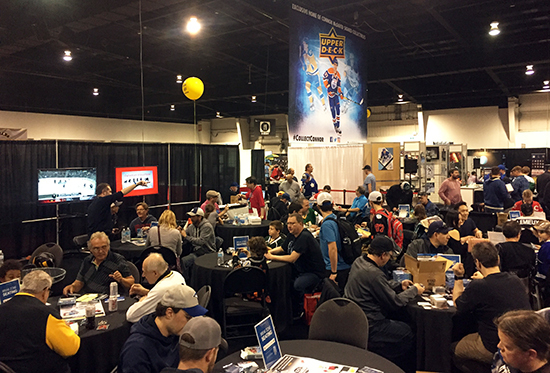 Upper Deck Announces Big Plans for the 2017 Fall Sport Card & Memorabilia Expo! 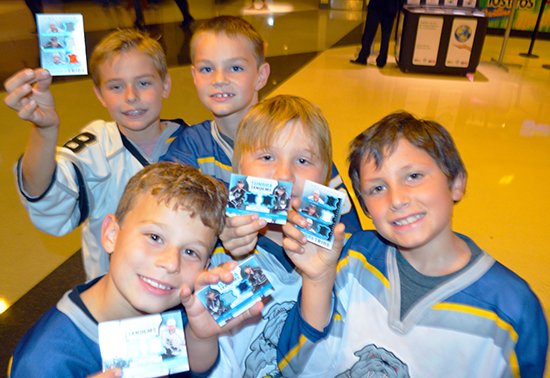 Every fall a new crop of talented rookies take to the ice in the NHL® and each year fans flock to the Fall Sport Card & Memorabilia Expo to get their first Young Guns rookie cards! 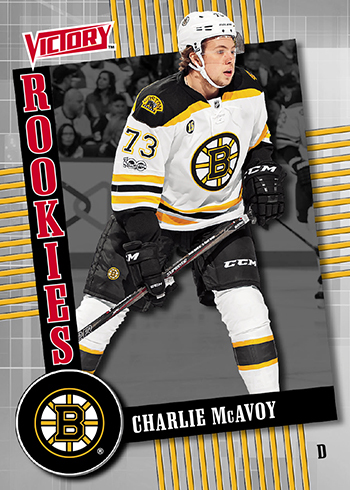 Such is the case this year where talented young rookies like Brock Boeser (Vancouver Canucks), Nolan Patrick (Philadelphia Flyers), Nico Hischier (New Jersey Devils), Clayton Keller (Arizona Coyotes), Josh Ho-Sang (New York Islanders) Charlie McAvoy (Boston Bruins), and more will likely have their first licensed rookie cards hitting the market around this show. 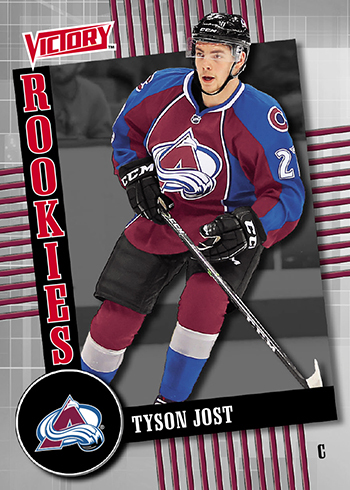 Many of their Young Guns rookie cards can be found in 2017-18 NHL® Upper Deck Series One which releases on November 9, the day before the show starts. 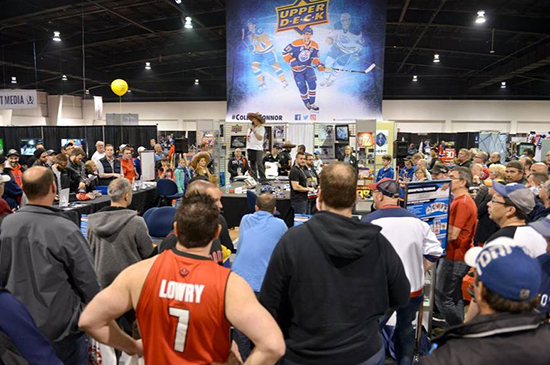 The International Centre in Missisauga, Ontario will be home to the Fall Sport Card & Memorabilia Expo from November 10-12. Upper Deck is going all out to make it a show to remember! Upper Deck Authenticated launched the Monumental product at the 2017 National Sports Collectors Convention and it stole the show! Now UDA is bringing the product to the Fall Expo with an all hockey theme, a smaller print run and a lower price point. UDA is producing only 50 of these blind boxes with them allocated per day. Friday there will be 15 boxes available for sale on a first-come, first-serve basis, with 25 allocated for Saturday and 10 more allocated for Sunday. 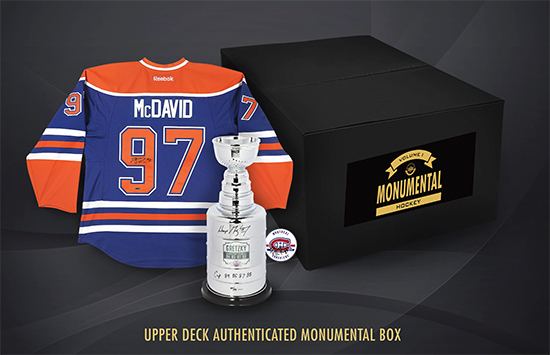 Each box contains three random Upper Deck Authenticated hockey signed collectibles and they are available for $600 Canadian plus tax. Fans can take part in the wrapper redemption programs at the Upper Deck booth and open boxes with staff to receive their redemption items. Collectors can also enjoy the Grosnor Break Zone to open their products in and get their redemption items from their courteous staff. 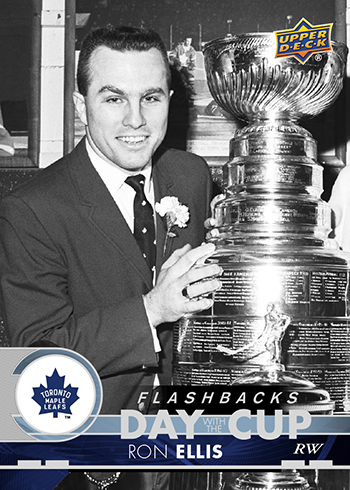 Open two (2) sealed hobby boxes of 2016-17 NHL® Fleer Showcase, 2017 Toronto Maple Leafs Centennial or 2017 Upper Deck Team Canada World Juniors and receive one six-card set of Upper Deck’s new Toronto Maple Leafs Day with the Cup Flashbacks set. These cards are exclusive to the Fall Expo and limited in nature. These are available twice per person, per day, while supplies last. 2017-18 Upper Deck Series One Midnight Parallels – This rare parallel of the entire 200-card base set of 2017-18 Upper Deck Series One is limited to just 25 total copies. 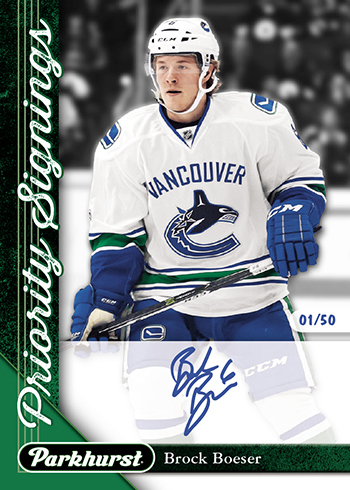 2017-18 Parkhurst Priority Signings Autograph Cards – These limited-edition cards feature authentic autographs of some of the league’s top players and prospects. 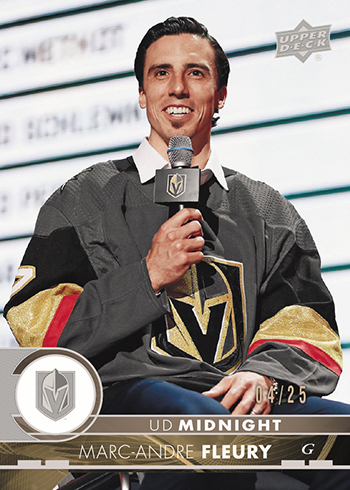 2017-18 Upper Deck Victory Black Rookie Cards – There are 12 different rookies to collect in the 2017-18 Upper Deck Victory Black rookie card set. 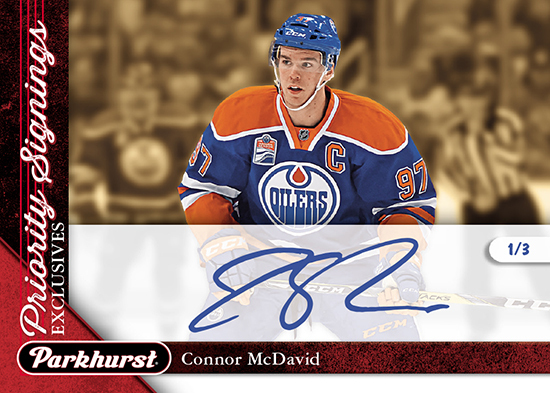 Ten additional subjects will be released in Upper Deck’s National Hockey Card Day packs available on March 3, 2018. You’ll need to start the set with these cards however that are available ONLY at the Fall Expo! 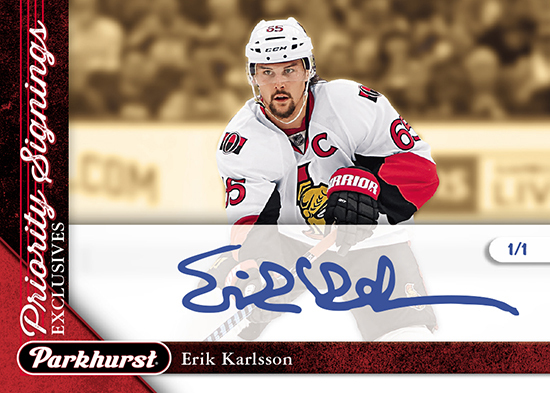 Upper Deck Instant Redemption Cards – A limited amount of prize cards are available in packs that are good for a signed Upper Deck Authenticated memorabilia item available to pick up immediately during the show at the Upper Deck booth. So don’t wait until you get home to open those packs! 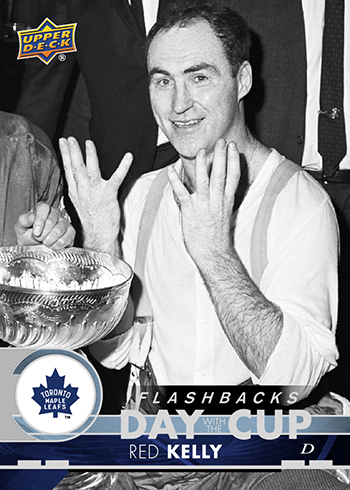 Open one (1) sealed case of 2016-17 NHL® Fleer Showcase (12 count case) or 2017-18 NHL® Artifacts (10-count case) and received three (3) UD Fall Expo promotional packs, one Toronto Maple Leafs Day with the Cup Flashback set, plus one (1) bonus item consisting of either a signed Parkhurst Exclusive Priority Signings card or a limited-edition signed memorabilia item! This promotion is limited to once per person, per day, while supplies last. 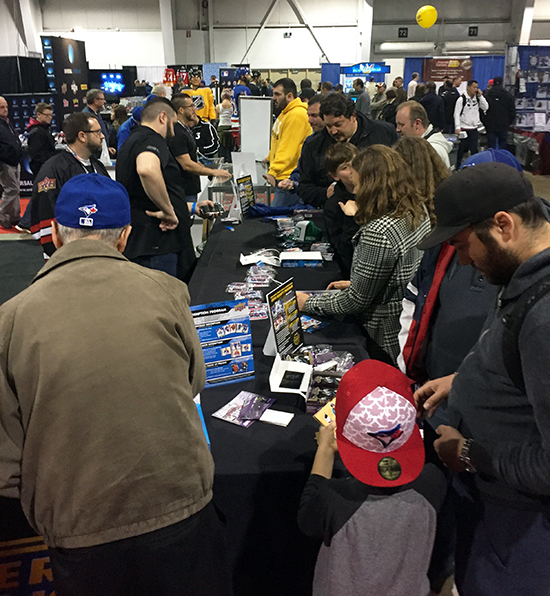 Additionally, Upper Deck will be engaging fans with a variety of other exciting programs to make the show one to remember! 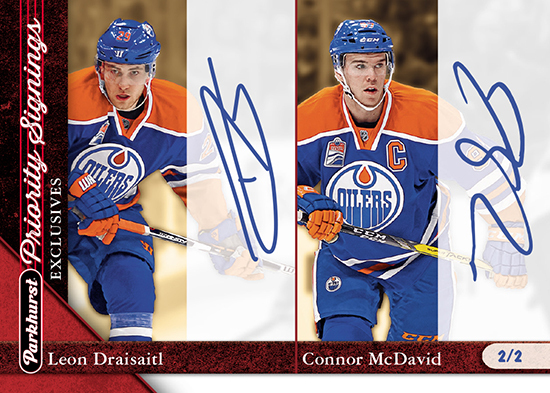 Upper Deck Authenticated – Upper Deck will have a variety of authentic signed collectibles from exclusive spokesmen like Wayne Gretzky, Connor McDavid and Patrick Roy. Make sure to check them out as they make the perfect gift heading into the holidays. 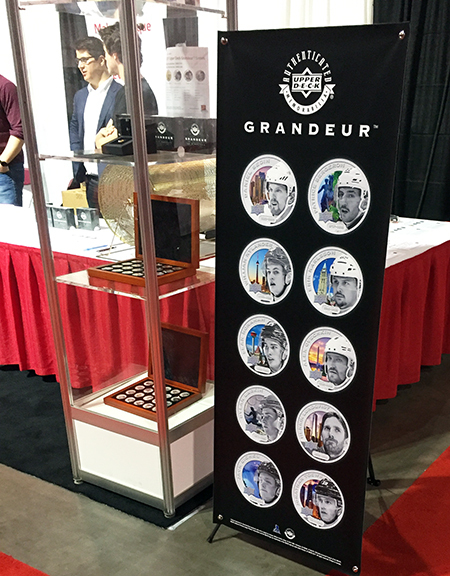 Upper Deck Grandeur – CIBC will be set up at the show selling Upper Deck’s new NHLPA-licensed Grandeur Hockey Coins. There will be some special incentives for purchasing at the show so don’t miss out on picking up what is sure to be an incredible stocking stuffer for the holidays! 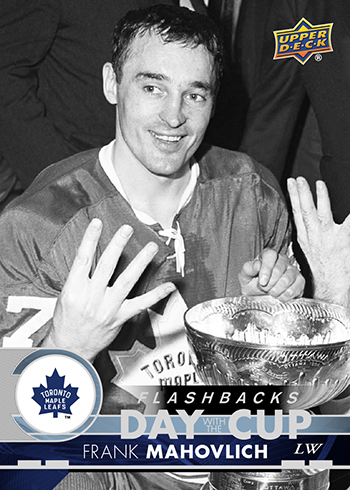 For more details on Upper Deck Grandeur, please visit www.hockeycoins.com! 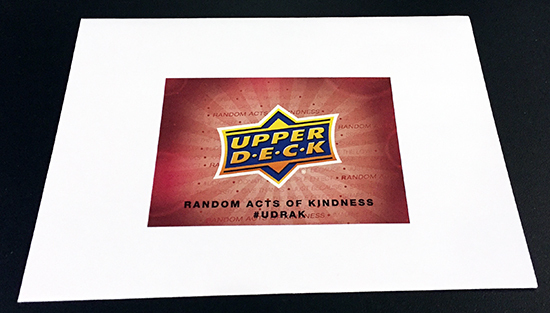 Upper Deck Random Acts of Kindness Scavenger Hunt – Upper Deck is partnering with Universal Distribution to offer this program all three days of the show! Envelopes with the red Upper Deck Random Acts of Kindness call-out on them will be hidden around the show floor. If you find one, you can bring it to the Upper Deck booth to score prizes like Upper Deck insert cards, boxes of cards or Upper Deck Authenticated signed memorabilia! Fans are able to turn in one envelope per person, per day. Upper Deck staff will provide clues each day on where to locate the envelopes and it’s always fun to watch kids scatter in search of these finds! And when fans score them, they are all smiles! 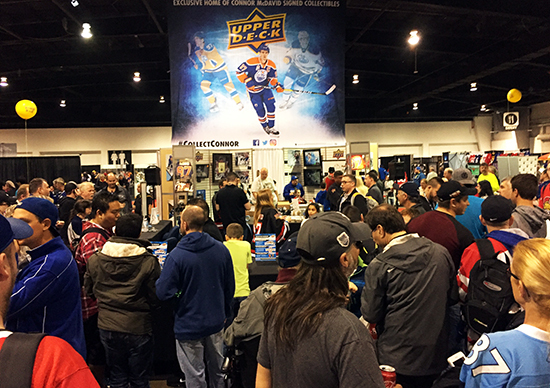 Free Upper Deck Raffles – Upper Deck would like to thank fans for making us the collector’s choice on Saturday and Sunday of the Fall Expo. The company will host free raffles at 2:00 p.m. each day. Fans in attendance will have the opportunity to score a variety of awesome collectibles! There is no cost to participate. Fans LOVE Upper Deck’s free raffles! 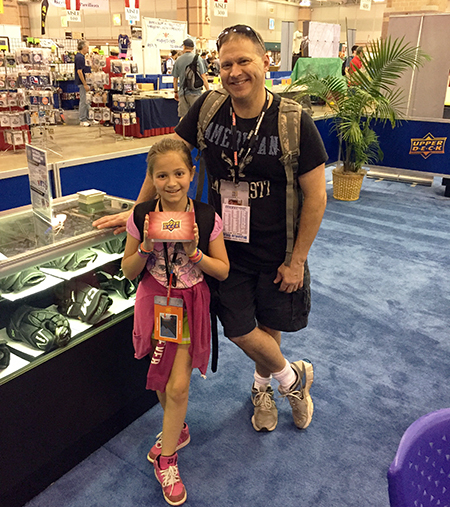 Tim Carroll – Upper Deck is happy to be working with Universal Distribution to bring in Tim Carroll to their booth. 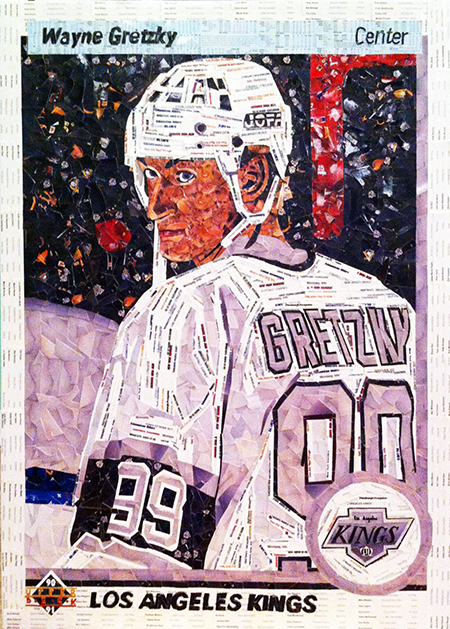 Over the course of the show, Tim will be cutting up cards to make an incredible Young Guns mosaic collage of a Toronto Maple Leafs future star. Stop by to watch his work and see if you can make out who he is creating! See the incredible artwork of Tim Carroll LIVE! 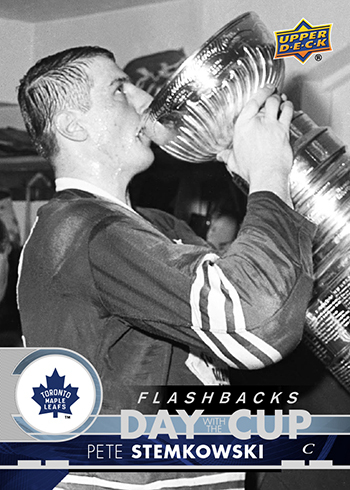 Breakfast with Tim Horton’s – Look for Upper Deck exclusive Tim Horton’s trading cards at nearby locations if they still have them. It’s a great way to start the day with cards and coffee before the show opens! Kids – As always, Upper Deck is working to make the kids a priority at the show and will provide free admission for them and a free giveaway pack to any child age 12 or under during the run of the show while supplies last. Expired Redemption Raffle – Those collectors who submitted expired redemptions can score them in the Upper Deck Expired Redemption Raffle on Saturday morning at 10:30 a.m.
Make Memories with the Entire Family – Have your phone charged and grab photos or video of the fun throughout the weekend. 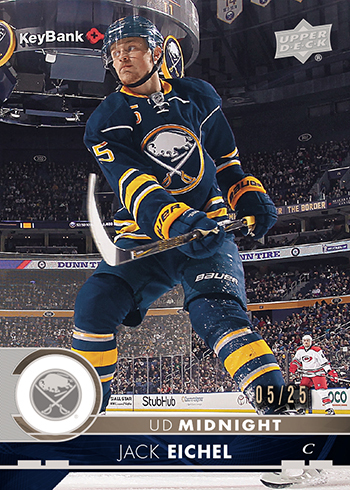 Make sure to tag @UpperDeckHockey on Twitter and @UpperDeckSports on Instagram! And use the #SportCardExpo hashtag, especially when you show off a cool new Upper Deck collectible you picked up at the show.